You have to respect a twenty-five year anniversary. It is safe to assume there have been considerable transitions in that span of time, some easier to handle than others. And as the excitement of discovery diminishes, there is also a tendency to take things for granted. I could be writing about marriage, but this is a restaurant review blog. I’m referring to the 25 year anniversary of Il Pizzico, the well-respected Italian restaurant in Rockville. When I receive an invitation to dine at Il Pizzico recently, I’m chagrined by the realization that I haven’t been here in years. I think of it fondly as a local restaurant that’s reliable and consistent. 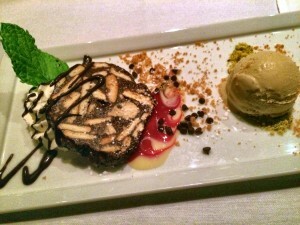 With so many new restaurants popping up in the area, Il Pizzico has simply fallen off my radar. The first thing I notice is the significant facelift. 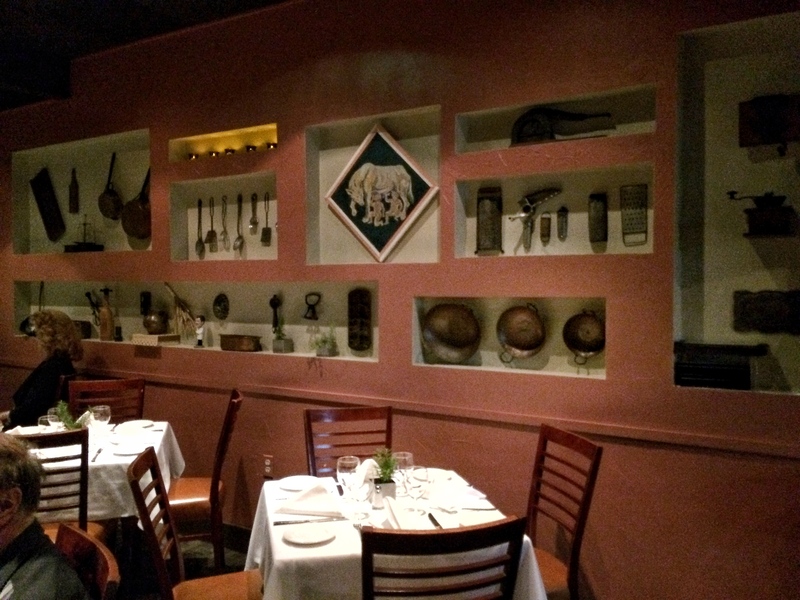 I recall Il Pizzico for its food rather than the decor, which was previously nondescript. Now the setting has a relaxed elegance and some appealing focal points. Updated decor is a plus in this strip mall restaurant, but Il Pizzico has been around for 25 years because of the commitment and talent of chef/owner Enzo Livia. He has been a constant here, and a core group of followers now extending from generation to generation, helps keep the restaurant going. A trio of antipasti begins our meal (which is entirely comped by the restaurant). Crostini with homemade goat cheese (from a goat named Molly) is a standout. 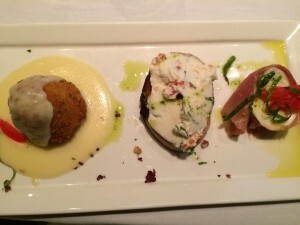 Arancine filled with meat and mozzarella swims in Taleggio cheese fonduta, and water buffalo mozzarella wrapped in prosciutto rests atop a drizzle of olive oil. 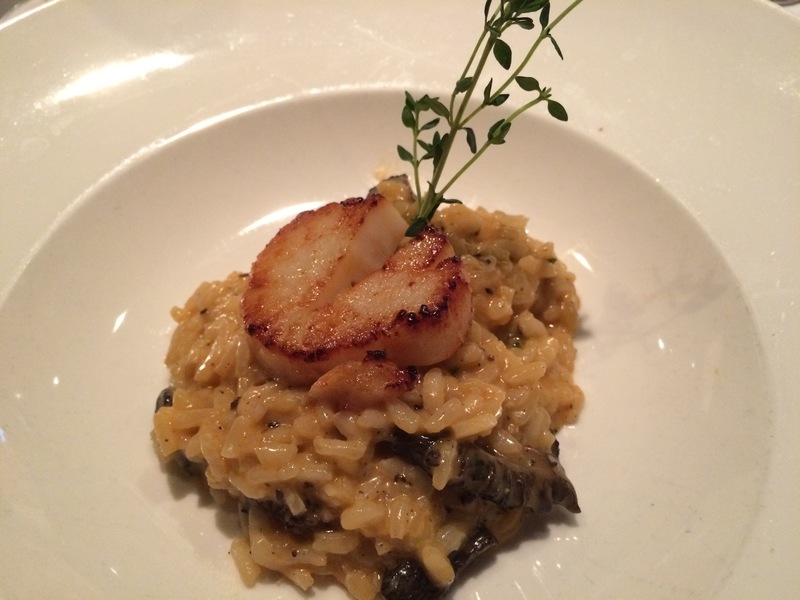 Risotto with morels and scallops is one of nearly a dozen pasta offerings on Il Pizzico’s menu. My guess is that you can’t go wrong with any of them. They are priced reasonably from $15.95 to $17.95. 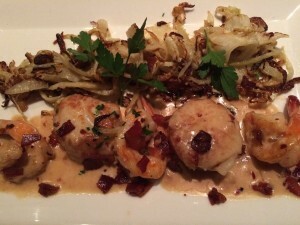 Scallops and shrimp gamberi is a beautifully composed dish, with the seafood enhanced by braised fennel, crispy pancetta, and brandy cream sauce. At $24, the dish is a steal. 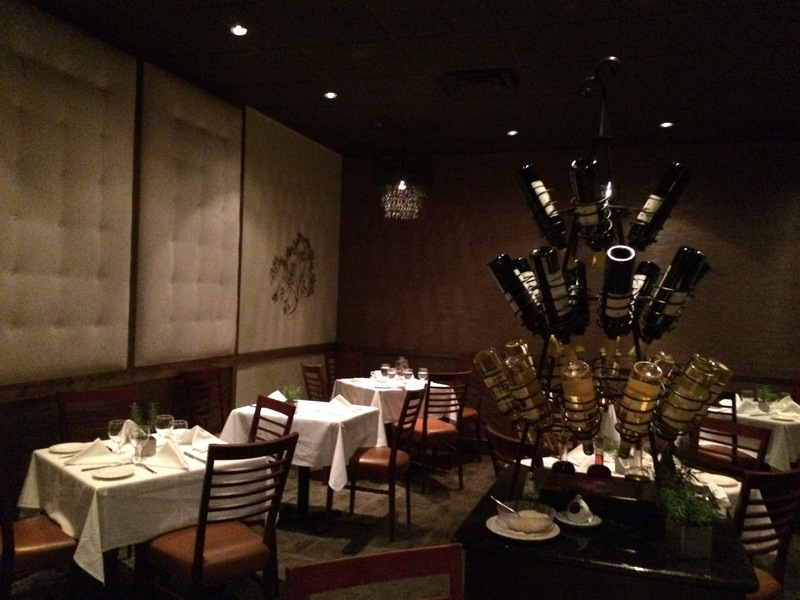 Chef Livia notes that while the decor has been updated, prices have remained fairly steady since the renovation, keeping longtime customers satisfied. 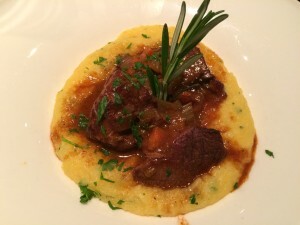 Tender short ribs are braised in red wine and served with a zesty polenta. 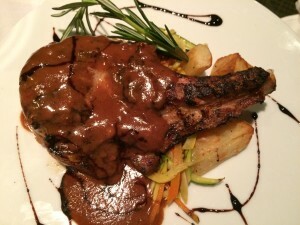 The dish that has me applauding is a grilled pork chop served with gorgonzola and port wine reduction. This is a special that richly deserves a spot on the menu. Per favore Chef Livia! The parade of substantial Italian dishes has me asserting that there is absolutely no room left for dessert. One should always make room, however, for chocolate salami with gelato, so I stuff myself just a little bit more. 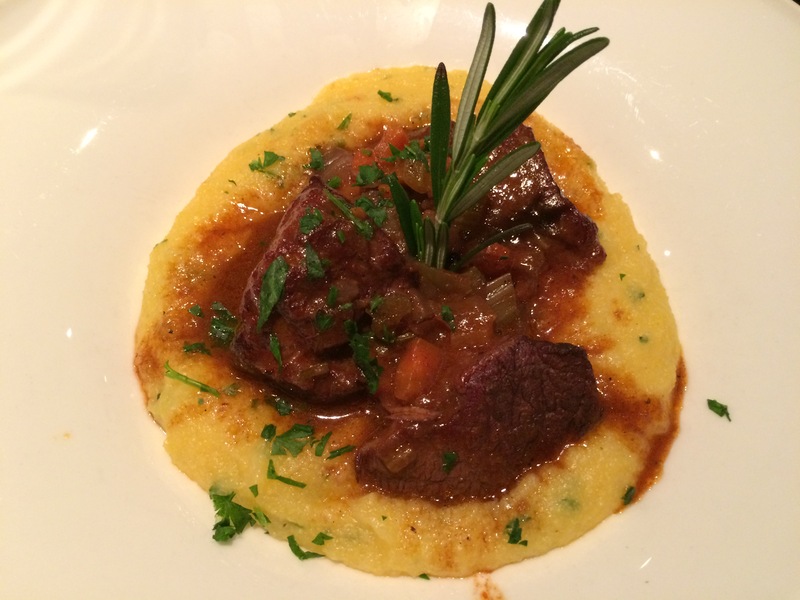 The no-reservations policy at Il Pizzico has been in place since the beginning. It’s packed on a Monday night, and I’m wondering about the weekend crowds. But the charming service and the deeply satisfying food are compelling reasons for a revisit. I am guilty of being fickle when it comes to my relationship with restaurants, although I’m working on this fear of commitment. Il Pizzico deserves some fidelity for being consistent, smart, vibrant, a good value, and for becoming more attractive with age. It’s a restaurant you can count on, and one I’m counting on returning to soon.